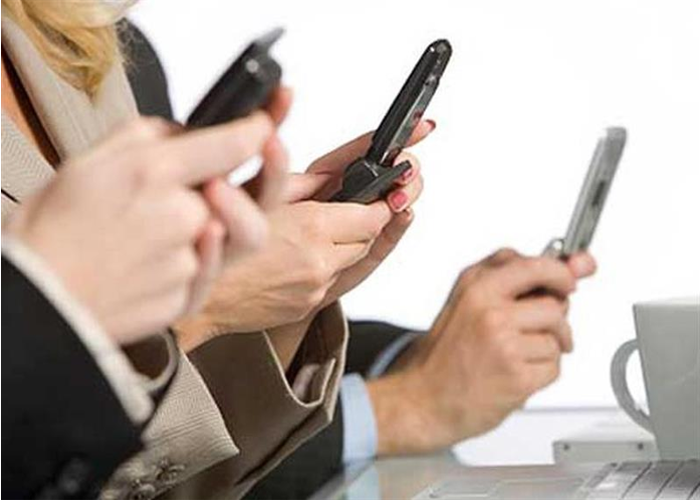 Mobile phones in the workplace – Is it secure? A London based company had seen a large increase in the number of items connected to their networks over the past five years, as more and more people remoted into their desk from their phone, due to the increasing workloads of its employees and the ability to complete tasks outside of the office e.g. on the train or at home. As roughly 70% of employees within the company liked to stay connected, having their work emails placed onto their personal mobile phones seemed like the most logical way to move forward. They were always ready, with a response to that all-important message, just a click away. However, it adds an additional risk to the security of the company. The mobile phone has become a powerful tool, however access to work emails could be the gateway to your network. Do companies change the Wi-Fi password each time someone leaves? But if the mobile phone belongs to a member of staff, does the data belong to you? When your employee gets a new phone, do you rely on a factory reset to remove the access to your network and remove confidential company data? Common sense dictates you shouldn’t connect your device to an open network, you should be careful what you send and what data you share. However, the devices you have given access to are wide and varied, working from home is becoming increasingly popular and remoting into your work desktop is a simple process. If the devices being used to connect do not belong to the company, who do we supply with the proof that the access codes, passwords and content have been erased? The company previously mentioned did not know what to do with their redundant mobile phones, they knew that a factory reset wasn’t enough, and that confidential data was still there to be compromised if fallen into the wrong hands, they knew that they needed a more secure and thorough process to fully erase these mobile devices. That’s when we received the call. An ITAD provider can fully wipe all data from a mobile device, this is much more secure than a factory reset. Using certified software, the phone can be totally wiped leaving no trace of previous user data. At ICEX we utilise a wide variety of processes to shred, erase, degauss, or punch through IT assets to remove data at our own modern processing facility. We can also deliver on site data destruction at a client’s premises to ensure data never leaves a client’s site. ICEX have performed many jobs where the clients need the data fully wiped and to have proof of erasure. The thorough processes ICEX have in place give clients peace of mind that the data is fully erased and not lingering behind a factory reset. Ultimately the client was left feeling happy that all the data had been securely wiped and that all risk of exposure or breach had been eradicated. Certification of erasure can be provided by ICEX to assure the customer all data has been removed from a mobile device. We can re-market mobiles that are still in good operational and aesthetic condition, reducing waste, and the impact on the environment.